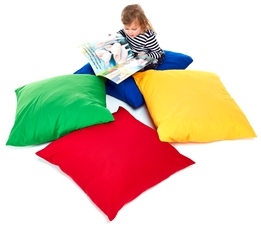 The Medium floor cushions are a set of 4 cushions 700mm across. 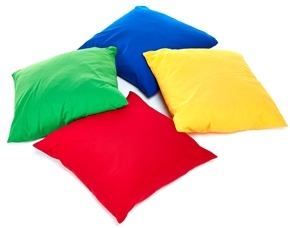 The four cushions are supplied in a set - yellow, blue, red and green. 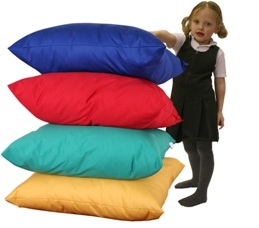 The cushions are fibre filled and make a great lightweight seat.